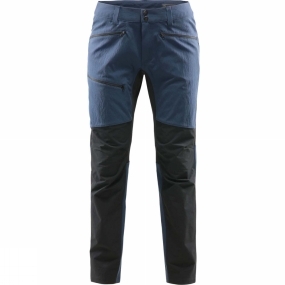 The Womens Rugged Flex Pant from Haglof are pants that are designed for your tougher adventures. They're highly protective and durable, with extra stretch where you need it to keep your movements unhindered. The pants can be gathered in at the cuff for tougher activity. The DWR treatment used is fluorocarbon-free, for extra peace of mind.